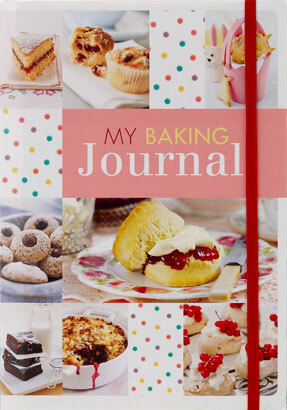 I wouldn’t say ‘My Baking Journal’ was the favourite cake book of my collection, but it does have one great feature – specially designed note pages in-between some of the recipes to jot down your own favourite recipes or tips and a folder to store recipe clippings. I have loads of scraps of paper lying around where I’ve scribbled changes to recipes from books and other baking notes, so that alone makes this book a worthwhile addition to any cooking book collection. Along with many standard cake recipes and the aforementioned notes section, it also includes a chapter that covers useful information on baking techniques and know-how and every conversion chart you will ever need to reference when baking. I created this site, to help share my love of cakes, and to encourage me to make one cake every month for a year! 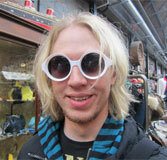 When I'm not baking cakes, I'm actually a Graphic Designer and Front End Web Developer. I'm very enthusiastic about design, the web, typography, user experience, Wordpress, cycling, good coffee and of course Cakes! The Cake is a Lie..... not really, all of the cakes on this site are 100% real! To keep up-to-date with all new cakes and recipes, you might like to subscribe to the RSS feed. © 2019 12 Cakes - All rights reserved. Powered by WebFaction. All images and content copyright 12cakes unless otherwise indicated.